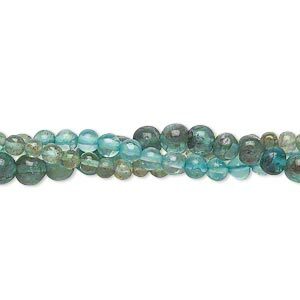 Bead mix, apatite (dyed), 2-5mm hand-cut round, D grade, Mohs hardness 5. Sold per pkg of three 14-inch strands. 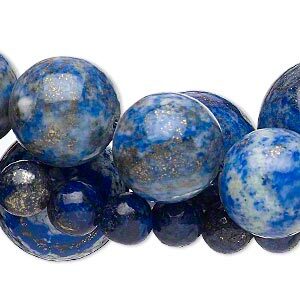 Bead mix, lapis lazuli (dyed), 8-25mm round, Mohs hardness 5 to 6. Sold per (3) 15" to 16" strands. 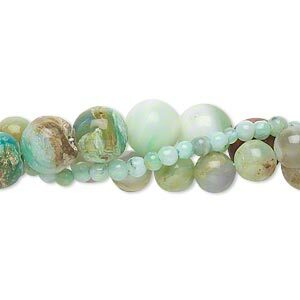 Bead mix, multi-opal (natural), 2-12mm hand-cut round, D grade, Mohs hardness 5 to 6-1/2. Sold per three 14-inch strands. 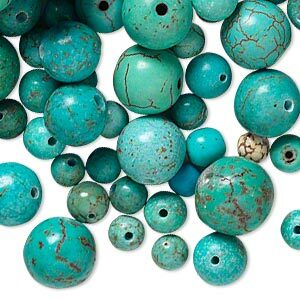 Bead mix, magnesite (dyed / stabilized), blue-green, 5-10mm round, B grade, Mohs hardness 3-1/2 to 4. 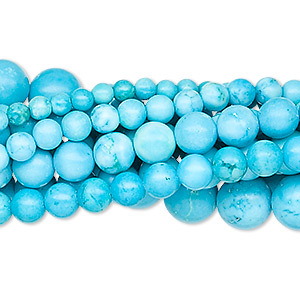 Sold per 1/2 pound pkg, approximately 450 beads. 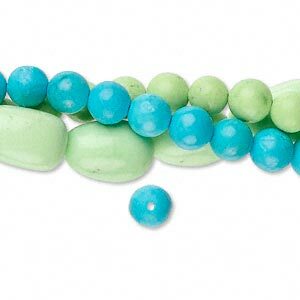 Bead mix, magnesite (dyed / stabilized), blue and green, 9-20mm round, Mohs hardness 3-1/2 to 4. 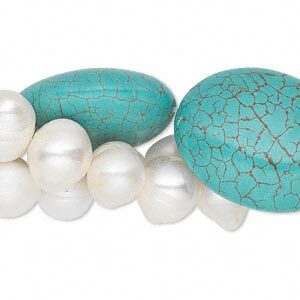 Sold per pkg of 1/2 pound, approximately 80 beads. 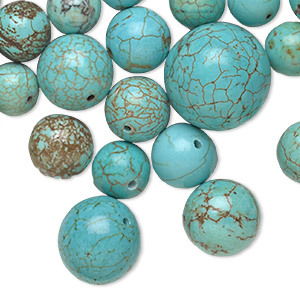 Bead, magnesite (dyed / stabilized), blue, 3-8mm round, B grade, Mohs hardness 3-1/2 to 4. Sold per pkg of (10) 15-1/2" to 16" strands. 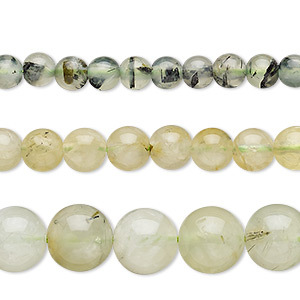 Bead mix, prehnite (natural), light to dark, 9x7mm-20x13mm round and mini to medium nugget, Mohs hardness 6 to 6-1/2. Sold per (3) 15" to 16" strands. 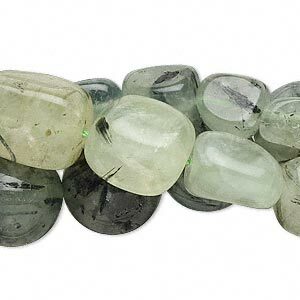 Bead mix, prehnite (natural), 10-20mm round, Mohs hardness 6 to 6-1/2. Sold per (3) 15" to 16" strands. 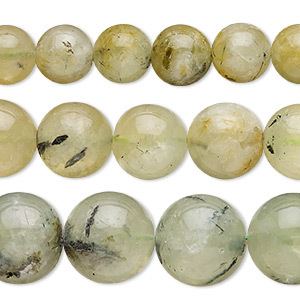 Bead mix, prehnite (natural), 4-10mm round, Mohs hardness 6 to 6-1/2. Sold per (3) 15" to 16" strands.